Runners definitely share special bonds and sometimes have traits, habits, or idiosyncrasies that only other runners can understand. If you're a runner, you may be able to relate to or appreciate some of these descriptions. Your first thought when you look at the weekly weather forecast is, "When can I fit in my runs?" You have more running clothes than regular clothes in your laundry pile. You've lost a toenail. And you tell people, "It's not that bad." You smirk when non-runners ask you, "So how long is this marathon?" You have a drawer full of medals and other race souvenirs that you're not sure what to do with. You go into Starbucks more often to use the bathroom than to actually buy coffee. You no longer make fun of fanny packs because your running belt looks very similar (although cooler) to one. You have a line in your budget for "race entry fees/race travel". You've used an old race T-shirt to wash your car, dust furniture, or clean something else. Your treadmill has more miles on it than your car. You get an invitation to a wedding and you automatically think about what race the date will conflict with. You have dreams about showing up to a race late or not wearing any clothes. You're not embarrassed to wear spandex. The salespeople at your local running shop know you by name. You know how to take a cup of water from a water stop without choking on it or spilling it all over yourself. At least one of your website usernames or email addresses has the word "run" or "runner" in it. You get excited when the race swag is a technical fabric (not cotton) T-shirt. When someone passes you during a training run, you assume they're running a shorter distance than you are. You don't blink at running 26.2 miles, but sometimes that feels like way too far to drive. When you hear a song from your running playlist on the radio, you immediately feel like running. You prefer marathon movies to movie marathons. You never thought of a road you drive on all the time as hilly until you run on it. The only time major household projects get done is during tapering or race recovery. You frequently get asked, "When's your next race?" you know where your iliotibial band is located. You no longer hate port-a-johns. In fact, there have been times when you've been very happy to see one. You've had your running shoes for three months and you know it's already time to replace them. You spend more time researching running routes than local restaurants when traveling to a new city. You'll cross over several state lines to run a race. Your physical therapist's receptionist knows you by the sound of your voice on the phone. You know where exactly one mile from your front door is (in any direction). You know how to correctly spell and pronounce plantar fasciitis. You own more pairs of running socks than dress socks. Your solution for feeling tired is to go for a run. You've perfected the art of snot rockets. You always have your next race on the calendar. Your runs are sometimes longer than your commute to work or school. Your running partners know more about your bodily functions than your significant other. You get jealous when you're driving in your car and pass runners. You spent more timing researching a running watch than you did your car. You want to either cry or punch your doctor in the face when he tells you that you can't run for two weeks. You're excited for your next birthday because it means you'll be in a new age group at road races. 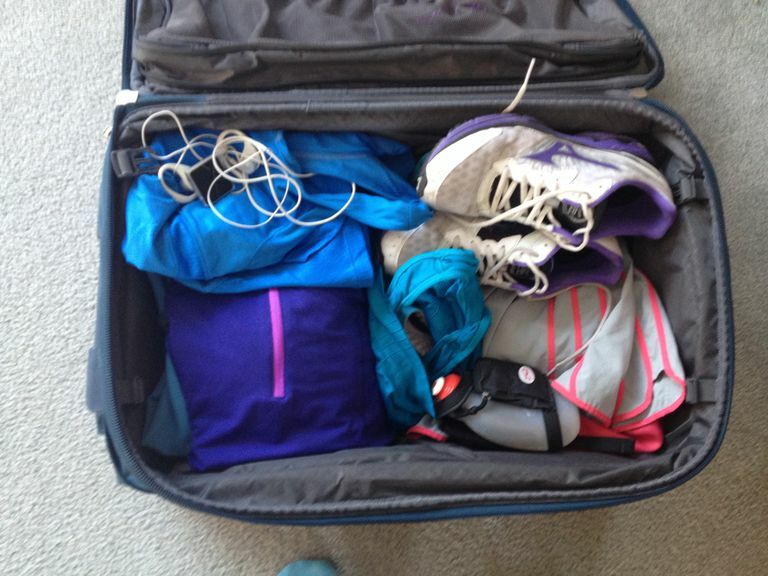 You pack more running clothes than bathing suits when going on a beach vacation. You have a mental list of comments you hate hearing from non-runners. When you hear the word "bib", you think about a race number, not a baby. You spend more money on running clothes than work or casual clothes. Did You Know You Have These 5 Body Parts?